The Museum looks for enthusiastic, energetic, and professional individuals to be part of our team through a variety of opportunities including permanent staff positions, grant-funded positions, internships and volunteer positions. The Museum is committed to fostering a collaborative and respectful work environment with a staff as diverse as New York City and the audiences who are curious about learning more about its history and engaging in contemporary urban issues. Our staff members are dedicated to working towards a common goal: creating the most dynamic and inspiring city museum in the world. As the Museum of the City of New York approaches its 2023 centennial year, we seek a Vice President of Education and Engagement to provide leadership and strategic direction for the creation and enhancement of dynamic programming that explores the unique historic and contemporary issues New York City faces and the complexity of how the decisions we make today impact our city’s future. The Assistant Director of Special Events will be responsible for the planning, executing, and fundraising for the Museum’s 4‐5 annual events as well as project manage opening receptions for special exhibitions. This position will report directly to the Director of Special Events. 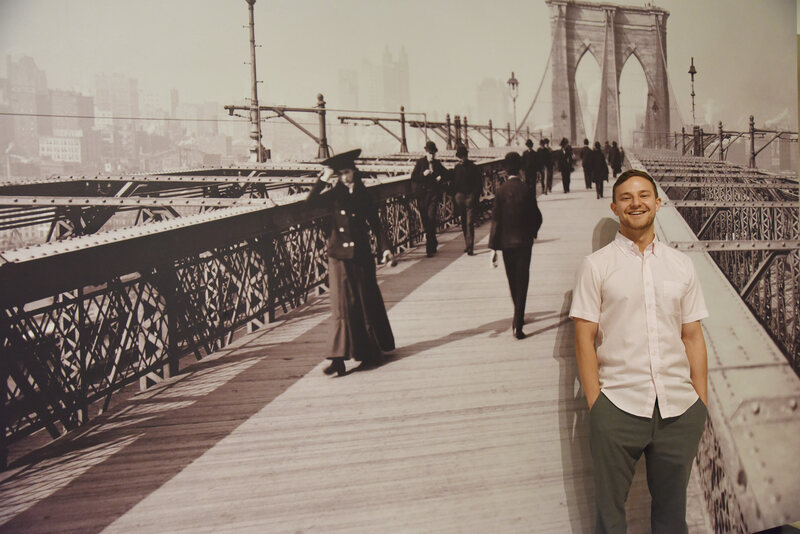 The Social Media Manager tells the story with text, video, and photographic content of the Museum of the City of New York across its social media channels, engaging with, monitoring, and growing the Museum’s audience. They manage the day‐to‐day activities on the channels, coordinating within and across departments to develop a dynamic editorial calendar. The Museum of the City of New York seeks a candidate to oversee content across the Museum’s website, email, and print to ensure accuracy, consistent voice, and alignment with marketing goals. The Museum, in partnership with the Gilder Lehrman Institute of American History and funding from the Charina Endowment Fund, seeks Saturday Academy instructors to join the Frederick A.O. Schwarz Education Center to teach electives in American history in either the fall (2019) or spring (2020) semesters. The Museum of the City of New York is recruiting Ph.D. candidates, post-doctoral researchers, and early-career academics interested in gaining experience in public history to provide tours as Museum Scholars to visiting groups including college/university students, foreign tourists, seniors, professional organizations, and alumni associations. The Museum seeks Per Diem Educators to join the Frederick A.O. Schwarz Education Center to provide interactive experiences for school children about New York City’s past, present, and future that are interdisciplinary and bring together history, art, and STEM connections in science, technology, engineering, and math. The Museum seeks an enthusiastic and outgoing Visitor Services Associate to join the Visitor Services and Retail team. The ideal candidate should be well rounded and organized and must possess excellent communicative, interpersonal, and computer skills, with the ability to juggle multiple and diverse assignments. They will have experience working in a department office in a cultural institution, proven track record of working in a fast-paced environment, and proven success in a customer service role. The position requires a background in bar/restaurants, event coordination, and some experience in sales. Candidates must possess excellent customer service, time management, and professional communication and writing skills. The ideal candidate should be energetic and organized, possess computer skills, and have the ability to juggle multiple and diverse assignments. Currently there are no Fellowships being offered. Please check back for updates. The Museum offers a variety of fall, spring, and summer internships for college and graduate students. Acceptance into the internship program is based on academic achievement, interests, experience, and availability. Applications are rolling, but follow a semester timeline. Time commitments are flexible and dependent on the Museum’s needs. All internships are unpaid. The Museum of the City of New York seeks graduate student interns to assist the American Art Specialist with various Decorative Arts, Furniture, Paintings, and Sculpture Collections projects currently underway at the Museum’s offsite collections facility, located in Brooklyn. Tasks will include collections storage re-organization, collections inventory and assessment, condition reporting, object cataloging, metadata recording, and processing. The intern will become familiar with the Cataloging Cultural Objects (CCO) data content standard and established museum best practices for the care of diverse media and object types. American Art Collections Internship : Description can be accessed here. The Digital Projects Intern role is a researcher, storyteller, and project manager all in one. This role would be an apprenticeship under the Vice President, Marketing Communications. The project helps with the expansion and awareness of the Museum of the City of New York’s brand and digital footprint by identifying, curating, and marketing our exhibitions and collections in digital applications (apps, online channels) that reaches both our on-site visitors and digital community. Graphic Design seeks an intern who is currently attending college or graduate school for Graphic Design. The candidate will assist the Design Director and Design Team with layout and production of digital and print projects and exhibition design. Knowledge of Adobe's Creative Suite is required and illustration skills are a plus. Candidates should have good communication, organization, and computer skills. Time commitment is flexible, but a minimum of ten hours per week is preferred. The Museum’s IT Department is currently looking for student interns to learn and assist with integrating technology into a business infrastructure. Applicants must be flexible in availability, with a minimum commitment of 12 to 16 hours per week. Information Technology Internship: Description can be accessed here. The Public Programs Department is seeking an intern to join a professional, fast-paced work environment and assist with all aspects of Museum programming for adults. The intern should be either currently enrolled in college or graduate school or a recent graduate and have a passion for New York City history, cultural life, urban planning, architecture and design, and event planning. Public Programs Internship: Description can be accessed here. If you are interested in volunteering with the Museum of the City of New York, please fill out this application form. You may send the completed form to volunteercoordinator@mcny.org. Your application will be processed and you will be contacted for an interview as opportunities become available. We regret that we are unable to accommodate all who apply. To apply for an open full-time or part-time position, qualified individuals can send their resume with cover letter and salary range to the attention of Human Resources at jobs@mcny.org (preferred method) or mail to Museum of the City of New York, 1220 Fifth Avenue, New York, NY 10029. To apply for a fellowship, please submit the requested materials to the contact person as listed in the full job description above.